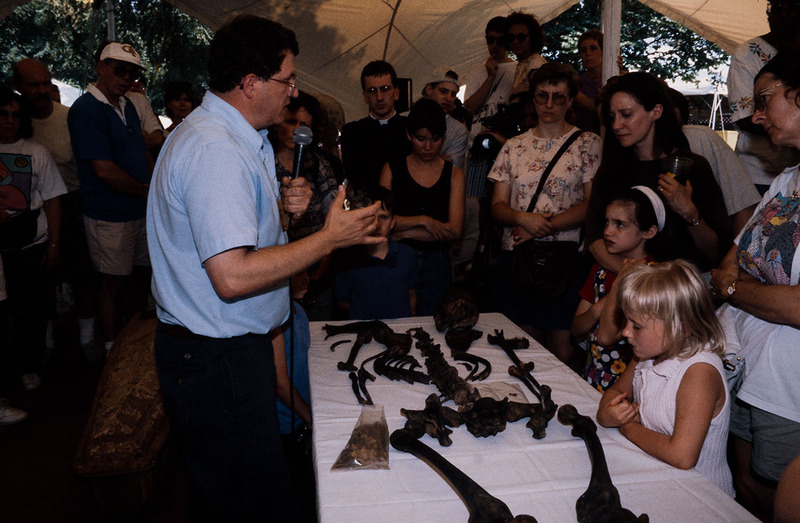 1996 Festival of American Folklife, Working at the Smithsonian program (FAF1996_0342). Photo by Ryan Brown. Courtesy of the Ralph Rinzler Folklife Archives and Collections, Smithsonian Institution. 1996 Festival of American Folklife, Working at the Smithsonian program (FAF1996_0512). 1996 Festival of American Folklife, Working at the Smithsonian program (FAF1996_0528). 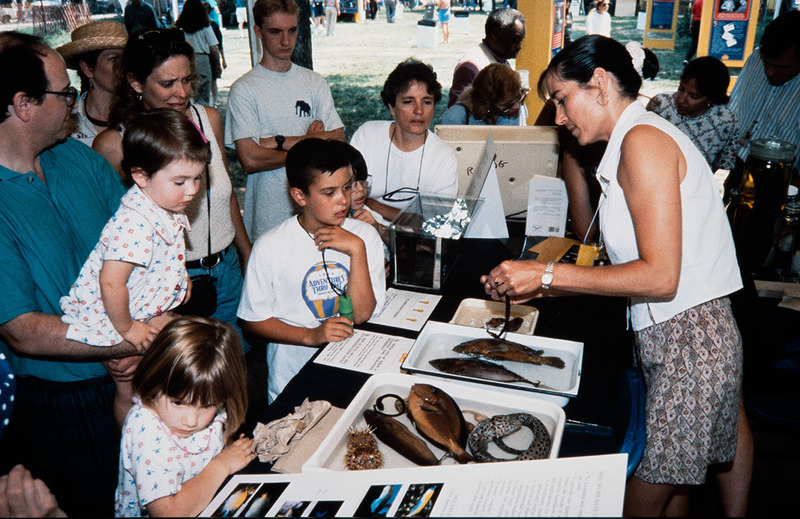 1996 Festival of American Folklife, Working at the Smithsonian program (FAF1996_0694). 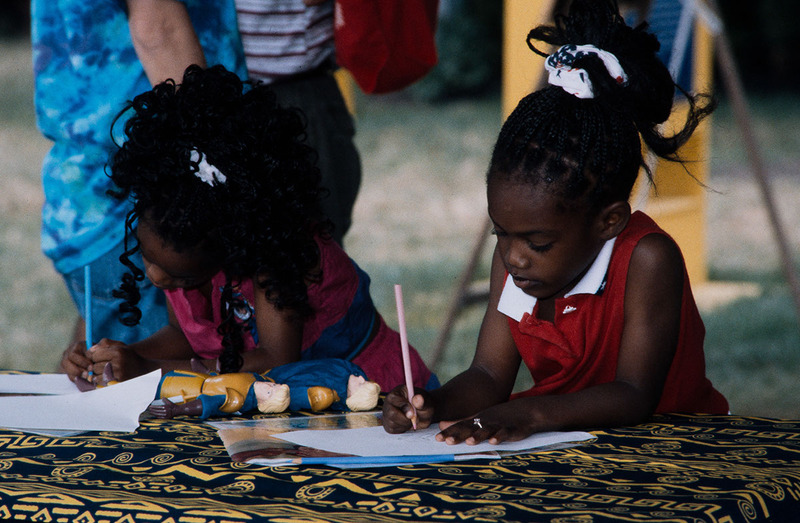 1996 Festival of American Folklife, Working at the Smithsonian program (FAF1996_26146). 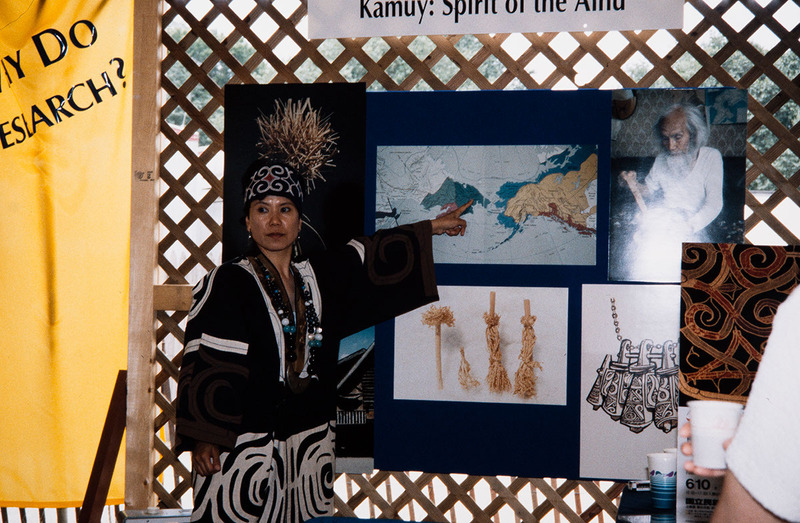 1996 Festival of American Folklife, Working at the Smithsonian program (FAF1996_26159). The Smithsonian is a cherished symbol of knowledge, a repository for treasures and national memories, a shrine of human accomplishment and natural wonders. The Smithsonian was founded for the "increase and diffusion of knowledge" and took root in an American, democratic society as an organization dedicated to the pursuit of knowledge in the public eye, and for the public good. The Smithsonian celebrated its 150th year with America's Smithsonian - a major exhibition that traveled to twelve cities across the nation - and with television specials and minutes, a birthday celebration on the Mall in August, and a host of other exhibits, World Wide Web programs, and scholarly conferences. 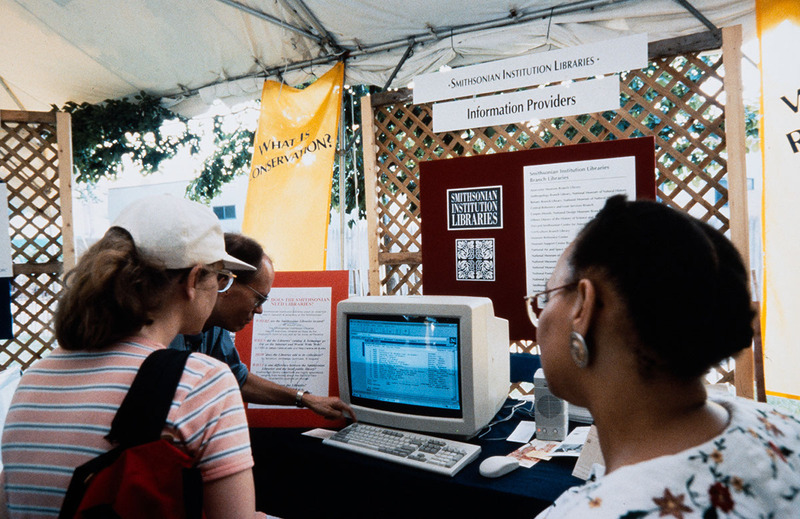 On the occasion of the Smithsonian's 150th anniversary, the 1996 Festival celebrated the culture of the Smithsonian workplace. The Festival had celebrated the folklife of many different occupational groups in the past, from cowboys to trial lawyers. In this program, the focus was not on one occupation, but on the diverse jobs that make up the Institution: from astrophysicists to animal keepers, security officers to exhibit preparators, registrars to administrators. All were involved, one way or another, with carrying out the Smithsonian's mission: the increase and diffusion of knowledge. At the Festival, Smithsonian personnel demonstrated just how they carry out this mission, by turning the Institution "inside out," as scientists, curators, conservators, exhibit makers, security officers, accountants, and administrators showed the public how the Smithsonian works. Their work also testified to the importance of knowledge as a basis for understanding the world, the significance of an educated citizenry, and the civic value of long-lived, highquality public institutions. While each job at the Smithsonian embodies its own skills and culture, it is also necessarily entwined with other complementary jobs. Each worker has his or her "way of knowing" at the Smithsonian, but also must know whom else to rely on to get things done in a proper and timely fashion. And each way of knowing illuminates a different dimension or sector of the Institution as a whole. The mission of the Institution is specific yet broad enough to engage a wide variety of occupational perspectives, imaginations, and aspirations. Indeed, the Smithsonian is part government, part museum, university, and business, and reflects the organizational culture of each. However, whether Festival audiences were listening to workers in jobs such as security officer, transport driver, metalworker, plasterer, curator, or administrator, the same themes emerged: working at the Smithsonian means doing a variety of tasks, or serving a variety of needs, in ways that clearly contribute to the functioning of the whole. Betty J. Belanus, Emily Botein and Marjorie Hunt were Curators of the program; Peter Seitel was Buildings and Grounds Curator, and Olivia Cadaval and Pam Henson were Smithsonian Memories Curators; Lynn Wojcik was Smithsonian Memories Coordinator. 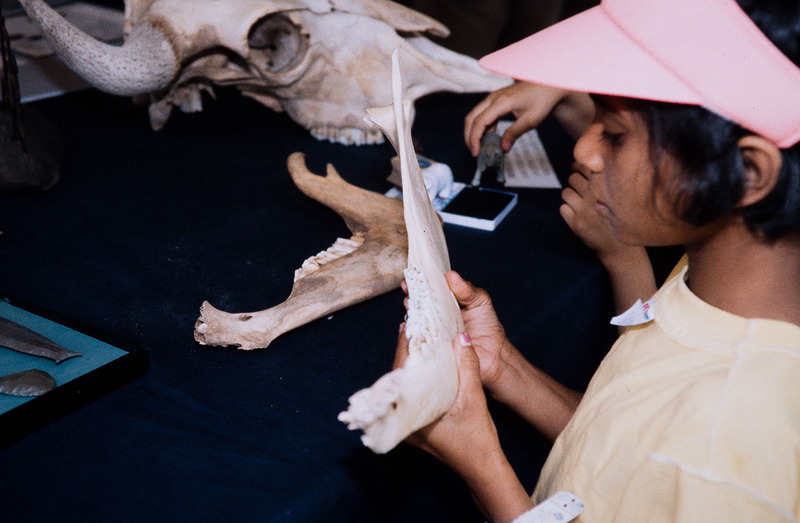 Working at the Smithsonian was made possible by the Smithsonian Institution 150th Anniversary Committee and with funds from the Smithsonian National Board. On the occasion of the 150th anniversary of the Smithsonian Institution, the Festival of American Folklife celebrates the culture of the Smithsonian work place.